Almost 12 million people have food allergies annually and the prevalence is rising in the contemporary world. Food allergies cause roughly 30,000 emergency treatments and 100 to 200 deaths per year in the nation. With a food allergy, your body perceives food as an enemy and wages war to rid it from your system. If you are allergic to a particular food, you may first feel itching in your mouth as you start to eat it. After the food is digested in your stomach, you may have GI symptoms such as vomiting, diarrhea, or pain. 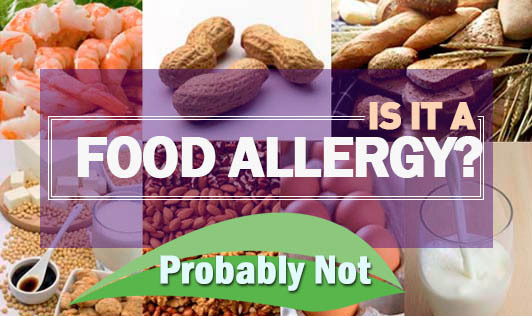 When the food allergens enter and travel through your bloodstream, they may cause your blood pressure to drop. As the allergens reach your skin, they can cause hives or eczema. When the allergens reach your mouth and lungs, they may cause throat tightness and trouble breathing. An allergic reaction to food can take place a few minutes up to a day after eating. If you suspect a food allergy, see an allergy specialist. Even if you start out with mild symptoms, repeated exposure to the allergen can sensitize you so that eventually you could suffer severe consequences. Severe reactions can occur with as little as 1/5,000 of a teaspoon of the offending food. Food intolerance occurs when your body cannot adequately digest a portion of the food. Food intolerance can be uncomfortable, but it's not life-threatening. 1. If you suspect you are intolerant to a particular food, eat the food 2-3 times in a row. Keep a food journal of what you eat and what reaction, if any, you have. 2. If it's a small problem, eat the food in smaller amounts or less frequently. 3. If it's a larger problem, try the food in a different form. Source: National Institutes of Health. 2008.